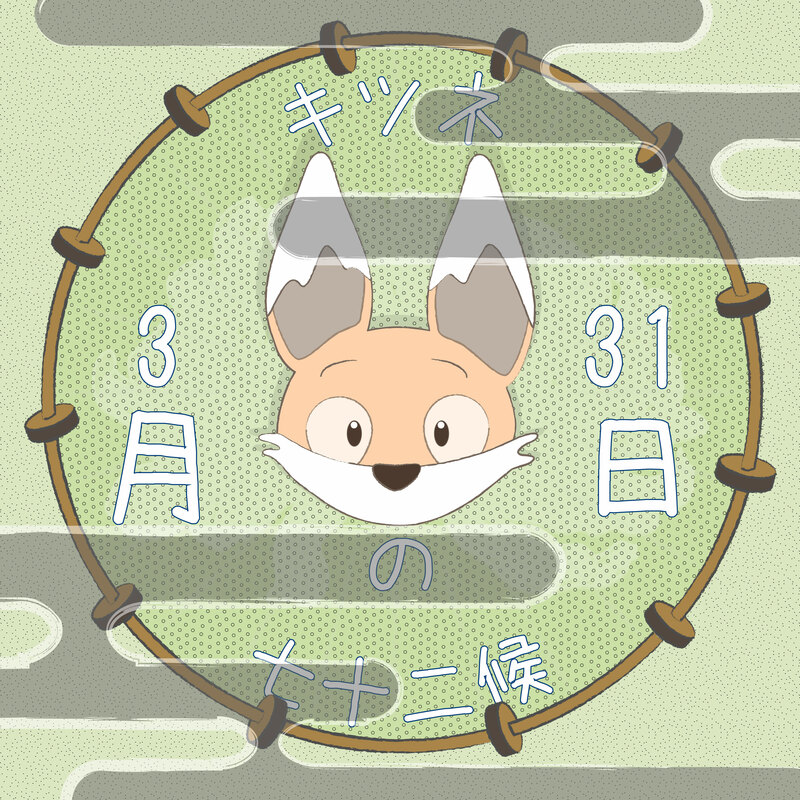 When Kiku consulted the almanac on 31st March he found that the seasonal marker for the next five days was entitled “thunder speaks”. He found Mama Kōjin sitting outside and asked her about thunder in Japan. She told him that the god of thunder, lightning and storms was known as Raijin-sama [雷神様] and one of the oldest Japanese Shinto deities. Along with his brother Fujin, the god of wind, they were the direct offspring of Izanagi and Izanami, the gods who created the islands of Japan. Although they had many brothers and sisters, their rivalry over command of the sky meant that they were often pictured together. She added “There is a very well known set of two-panel screens called ‘fujin raijin-zu’ (picture of wind and thunder gods) depicting the two of them from the early Edo period (17th century) by Tawaraya Sotatsu”. “Raijin-sama is very frightening as you would expect, and responsible for the tempestuous weather often affecting the different parts of Japan. You will have walked under his gaze many times already” she added, and Kiku shook his head, thinking that he would have remembered such an encounter. 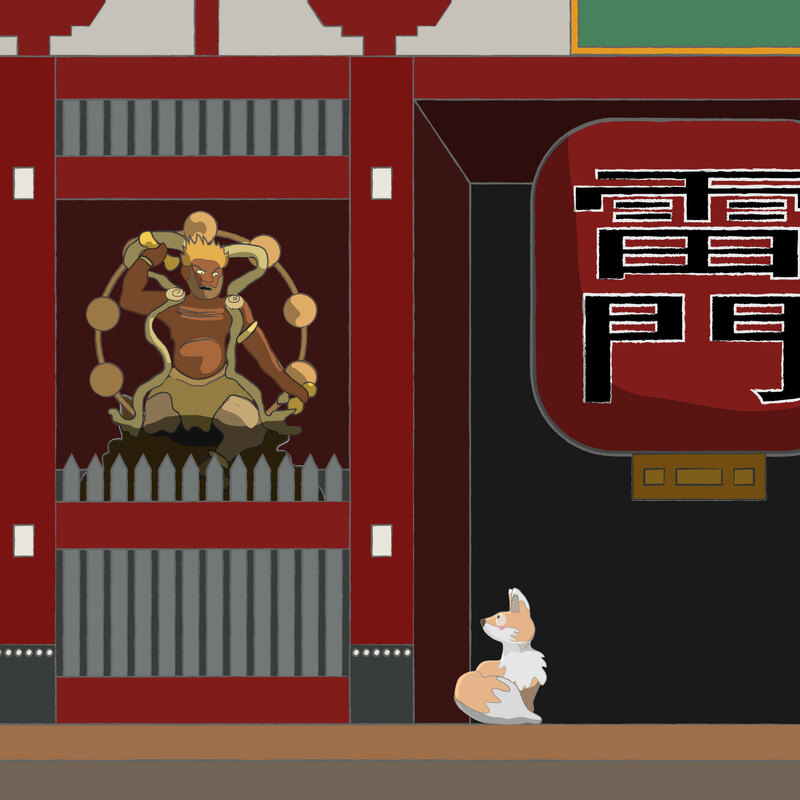 “You remember the big wooden statues either side of kaminarimon in Asakusa?” she asked the little fox. He did – the outer gate to Sensō-ji in Asakusa was known as the thunder gate (in fact its real name is Fūraijinmon (風雷神門), expressing thunder, lightning and wind), but the large character for thunder which is on the front of the giant red lantern can be read as ‘kaminari’, another word for thunder and thus became the popular name for the gate. Facing the street, on either side of the lantern are two covered alcoves containing two large guardian statues – Raijin on the left and Fujin on the right. The two deities are considered to be protectors of holy places, which is why they are often found within the entrance gates of temples. Raijin is most commonly depicted in wooden statues holding hammers and surrounded by a ring of drums – which he uses to make the deafening sounds of thunder. He is often shown with three fingers on each hand that represent the past, present and future. 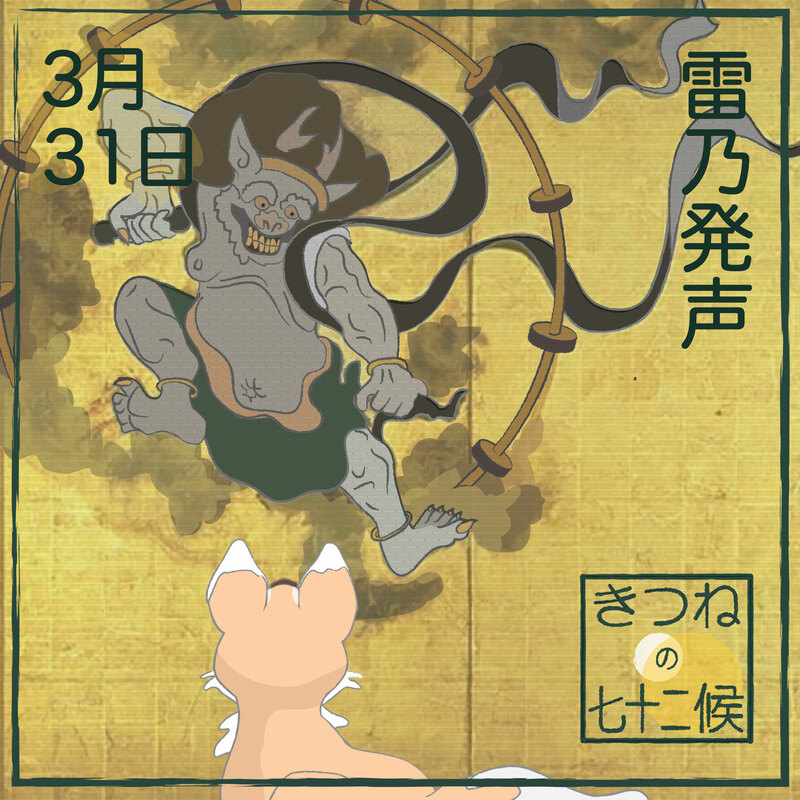 He looks muscular but with a pot belly, and his appearance comes close to oni demons with horns and/ or fire-like hair, and often with red skin. 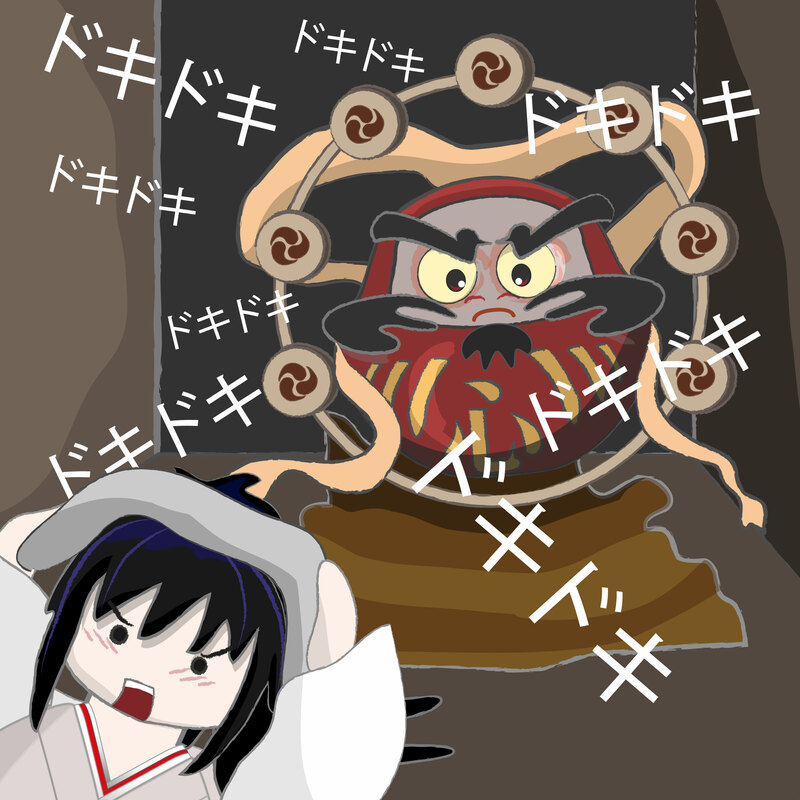 Japanese parents used to tell their children to cover their belly buttons during a storm, lest Raijin eat their belly. Despite being feared and respected, however, he is still seen as a benevolent spirit, because of an old belief that lightning fertilises rice crops. Wonderful! When next in Japan, I will definitely see if I can spot any Raijin and or Fujin statues. Failing that I now know exactly where I can find a set!